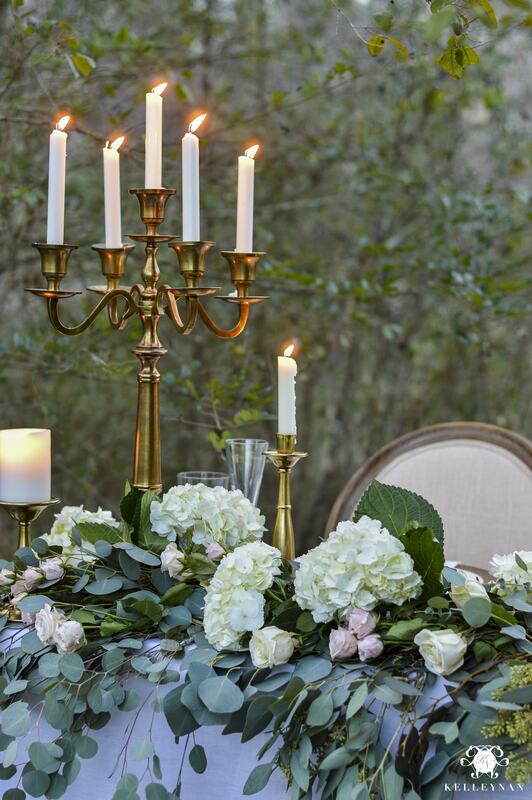 Normally the first thing I do when creating a tablescape is to decide on a centerpiece. 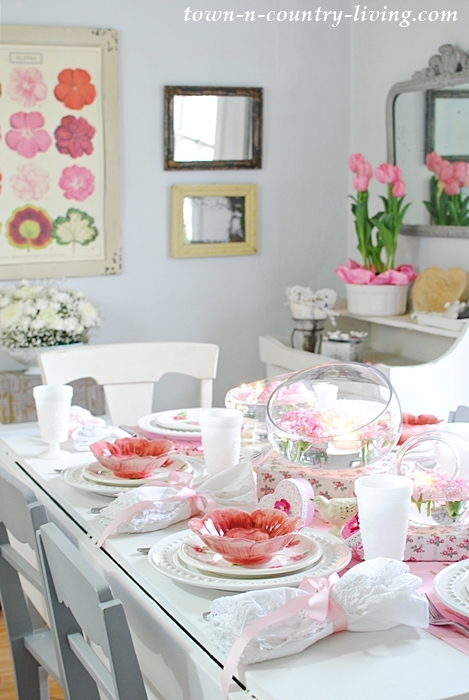 And I try to create a centerpiece that’s different from past table settings. I knew I wanted to do something with flowers, but I also wanted it to be different. 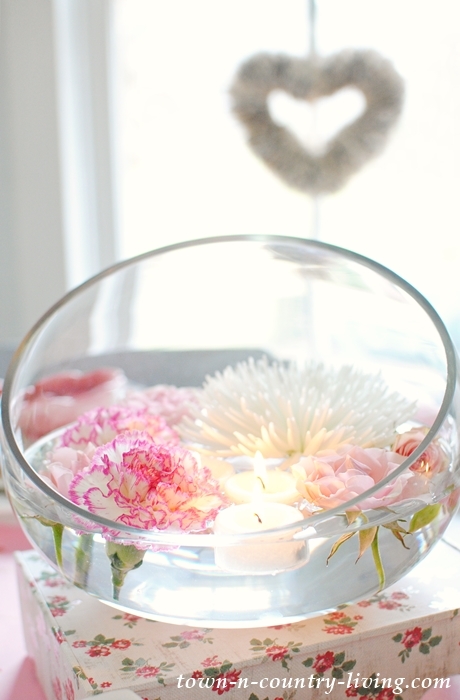 My pink and white flowers are floating on water inside a big glass bowl. The beauty of this arrangement is that there’s no arranging! No need to keep moving stems around until you get it just right. 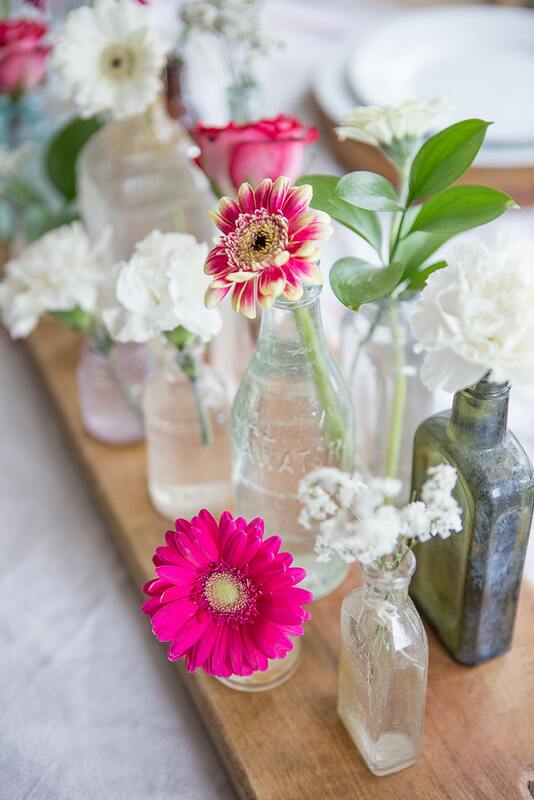 Simply snip the flowers from their stems and let them float. 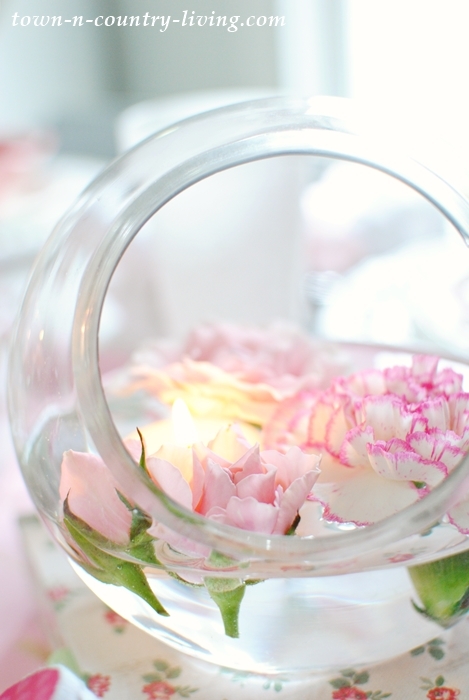 A floating tea light or two adds a little warmth and romance to my pink and white table setting. 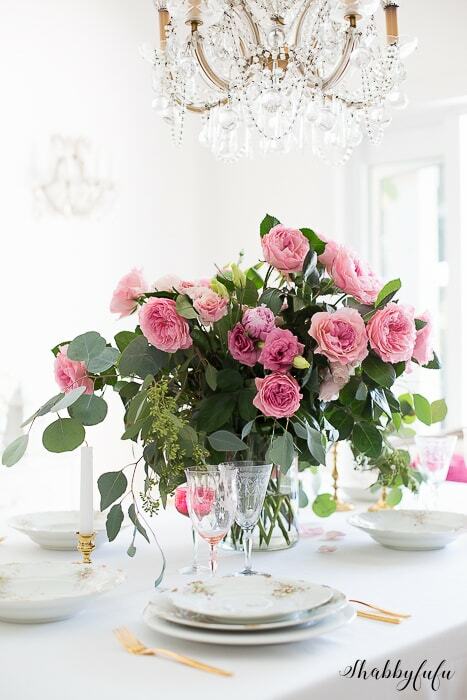 Three bowls of flowers create my Valentine’s Day centerpiece. 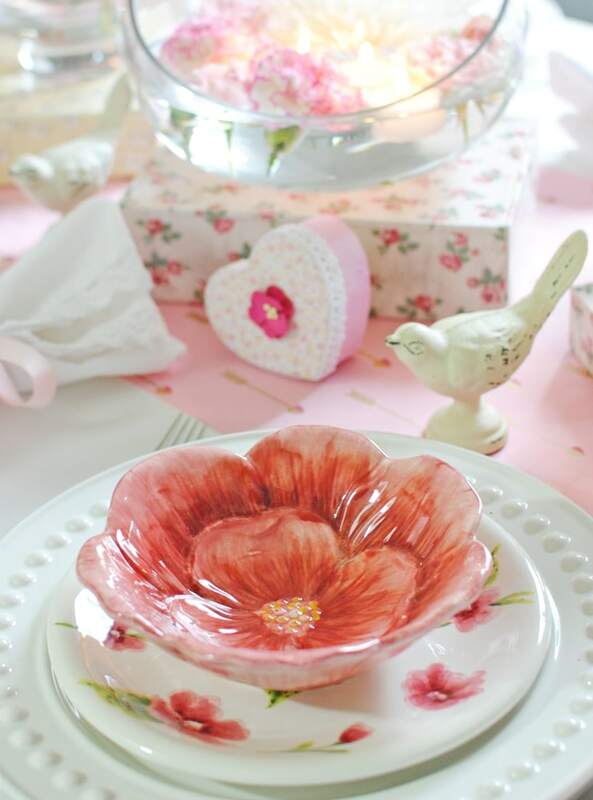 You can find inexpensive glass bowls at the craft store or your local thrift shop. 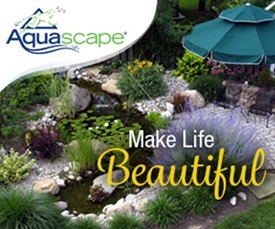 Since the flowers float, you don’t need as many as you’d need in a regular bouquet (so another cost savings!). 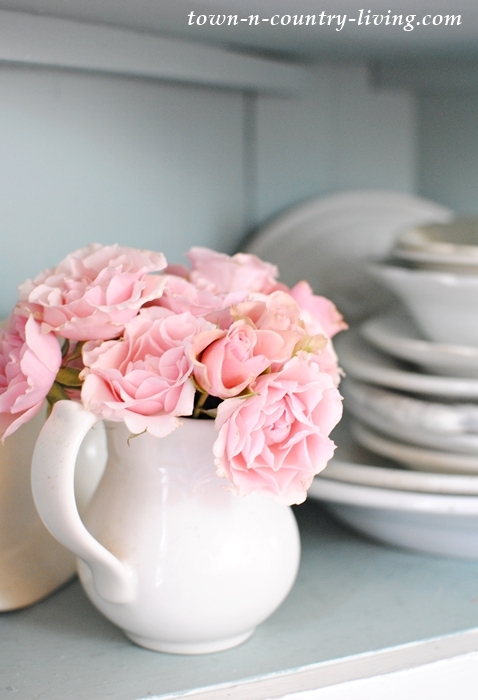 The bowls of flowers are perched on pretty floral boxes to give them a bit of height. I saved money on the table runner, too. It’s Valentine wrapping paper! All you need to do is cut a strip of the paper in the desired width. 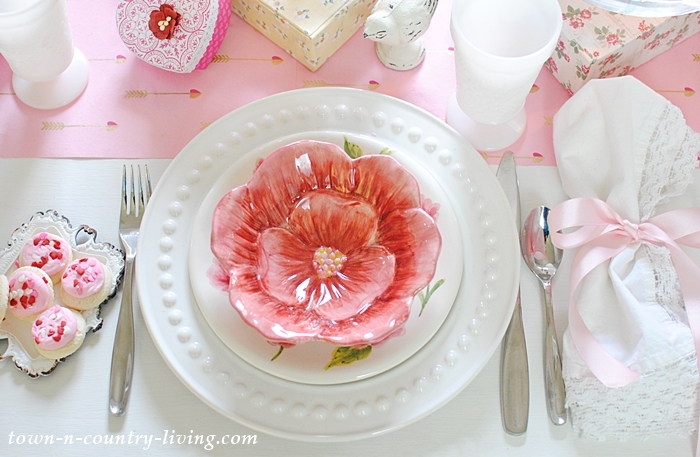 My pink and white table setting took a turn when I laid eyes on pretty floral dishes and little flower bowls.They just happened to be located near each other in Home Goods and I thought, “Wouldn’t these look cute together?” Even the lady at the register commented how good they looked together. And the best part? The flower bowls were just $7.99 for a set of four! 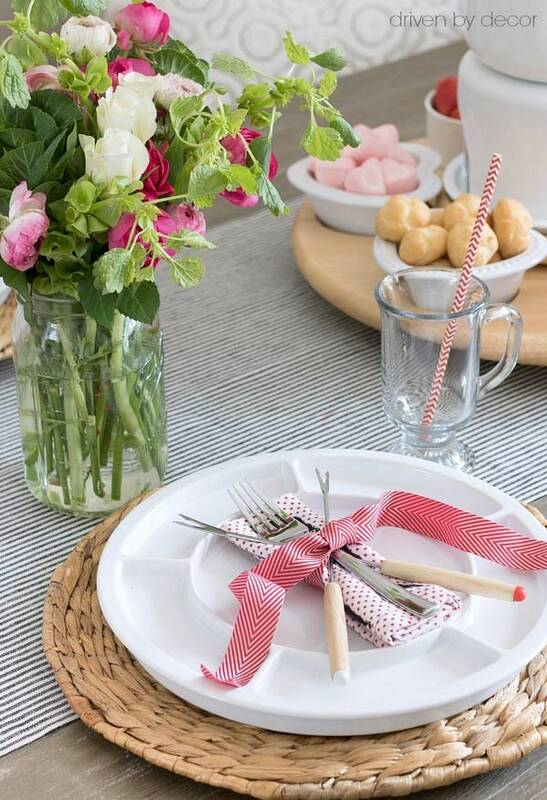 White lace napkins get tied with pink grosgrain ribbon and my milk white tumblers came out to join the party. My book page heart wreath is still hanging in the window. 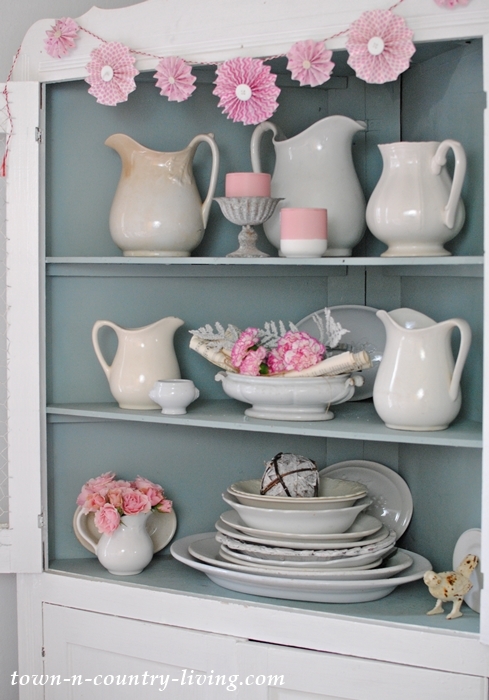 And my dining hutch received a little bit of pink, too. 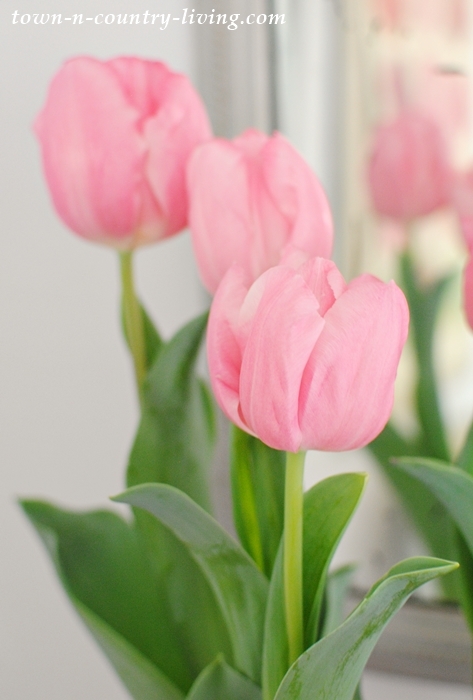 And pink tulips in the other corner of the dining room. 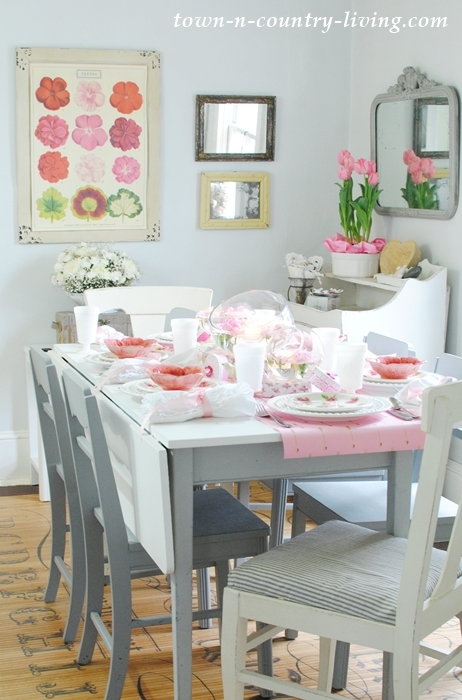 After all was said and done with my pink and white table setting, I even found a poster of pretty pink and red posies. Perfect! 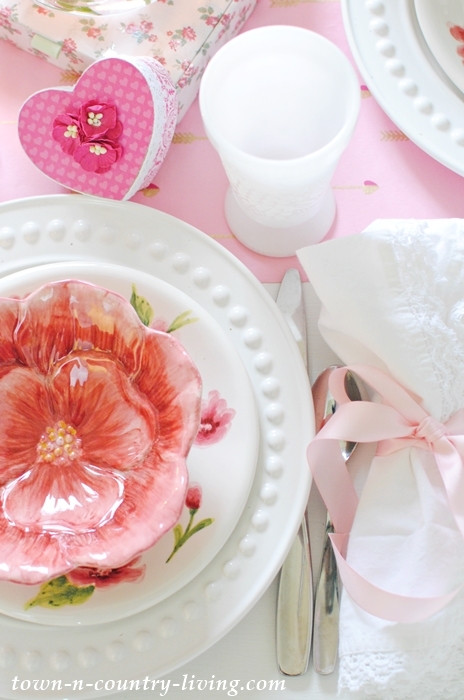 If you want to create a similar tablescape, here are a few sources to make it easier. 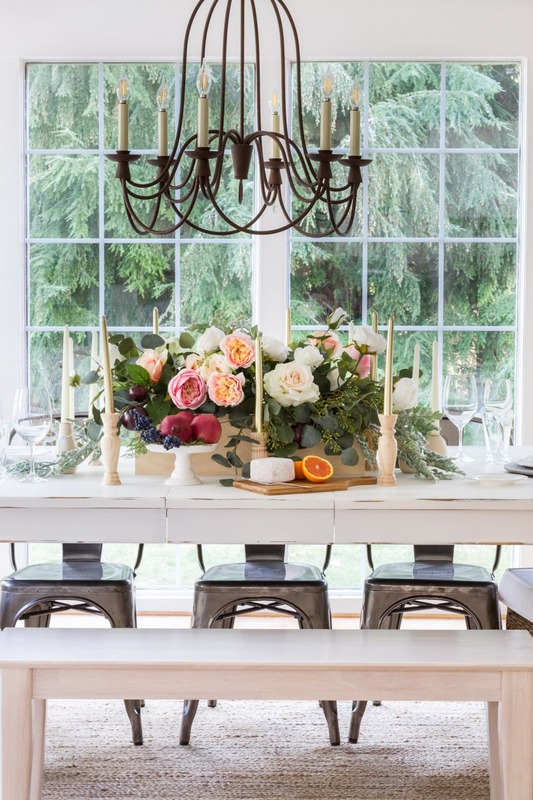 Next up on the Styled and Set Holiday Entertaining series is Kelley Nan, who will wow you with her creativity. 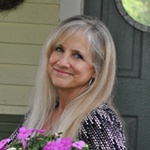 You can visit the rest of the bloggers at the links below … all week! So cute! Can you come and decorate my house for Valentines Day!? This is so cute! I’d love to have a little valentines tea party! I love the table. So pretty. I love all the links lots of party fun. 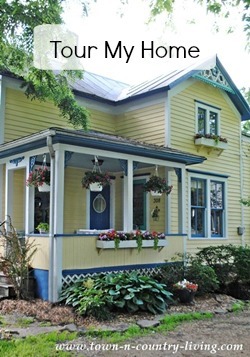 I hope you’ll come over to Our Holiday Journey and link your posts! Here’s this weeks link. Let’s share the love and party together! 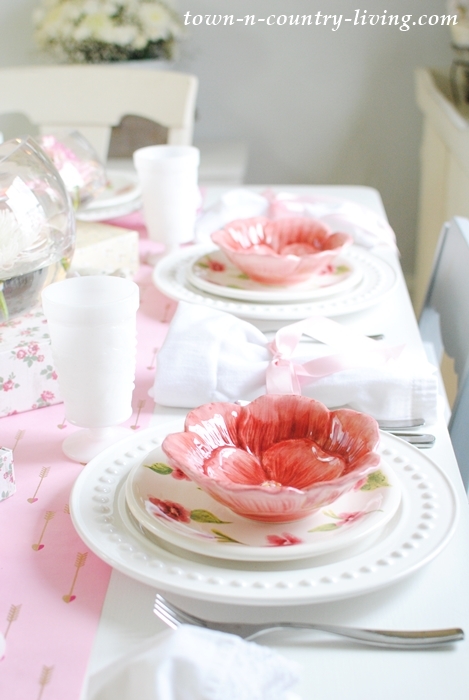 Wrapping paper as a table runner – so clever. Lovely table setting. Your table is so beautiful. Your boxes look so endearing. Along with the flowers, and Oh! Those bowls and plates ❤. I wonder if you have the same problem I have, where to store the Dishes! It can be a problem. I am thinking of your post with the butlers pantry, it’s on my someday wish list. Along with a first floor laundry room. I’ll be over on Saturday for the luncheon. That was an invitation, wasn’t It? So pretty Jennifer! I love the floating flowers and candles. I used to do that a long time ago and I had forgotten, so I’m thrilled for the reminder. Love the whole looks so much! 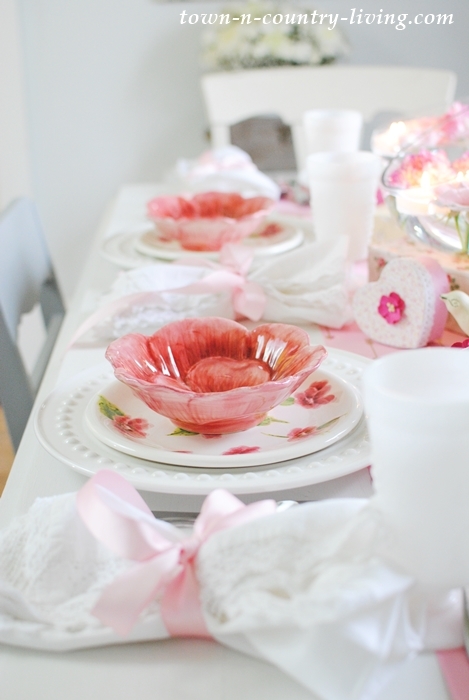 I REALLY loved those beautiful pink bowls from Home Goods and what a price!!!!! 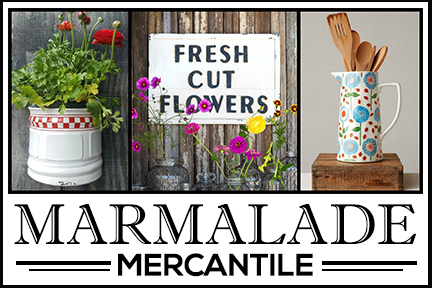 I am going to see if they have any more in my neck of the woods at Home Goods. I would eat my cereal, my soup, my fruit, my ice cream and anything else I might fancy to put in them. So, so pretty. 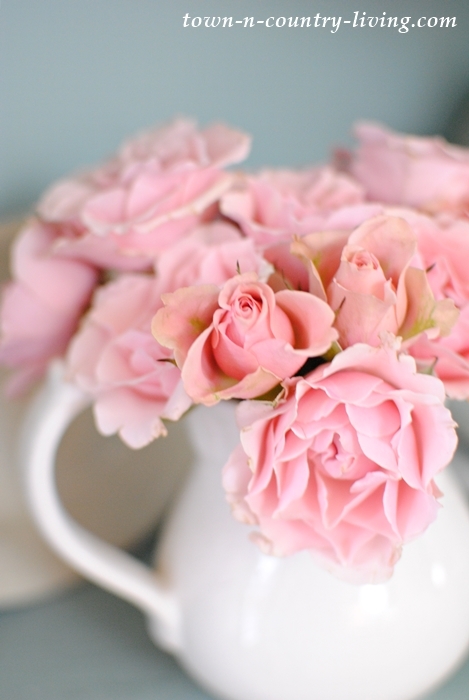 The pretty roses in the white pitcher are so life like (you are an amazing photographer) I thought that I almost could smell their scent. You rock, Jennifer! It looks awesome. I love everything about it ! Perfectly PINK! Lovely Jennifer… Those flower bowls are darling as is everything else. Such a pretty winter pick me up! 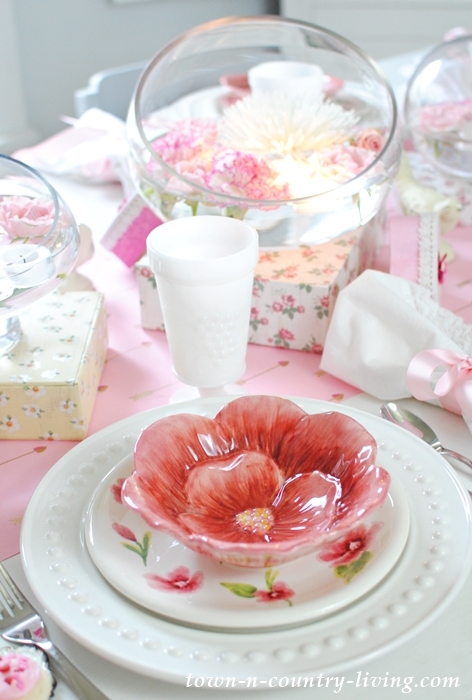 Such a delicate and gorgeous table setting! 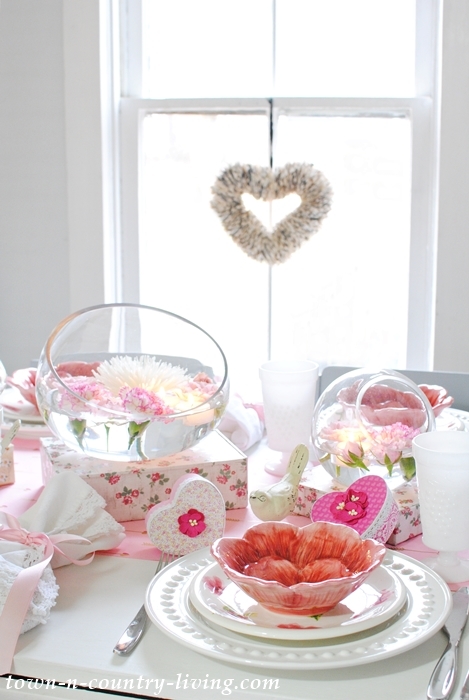 I must admit I will steal a few ideas and tips to decorate my own valentine’s table. Thank you so much!